no rating 1 stars 2 stars 3 stars 4 stars 5 stars (5 votes; 4.6) Review this business! 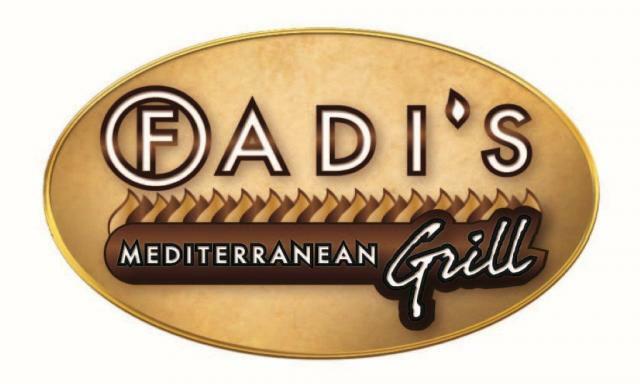 The menu at Fadi’s is based on family-owned recipes and is rich in delicious Mediterranean flavors!Fadi Dimassi is chef, manager and founder of the Fadi’s Mediterranean Grill restaurants- which serves some of the finest Mediterranean cuisine in the Houston and Dallas areas. Born and raised in Saida, Lebanon, Fadi began training at the age of nineteen in his family’s restaurant. In December 1990 he and his family came to the United States, where in 1993 his family opened their first Houston restaurant called Dimassi’s Mediterranean Buffet. Then in 1996 he opened Fadi’s Mediterranean Grill; and eight months later, the rest of the family left Dimassi’s and joined him in promoting his flourishing, new restaurant. (Dimassi’s is still in existence today but is no longer associated to the Dimassi family.) Travel around the world with Taste! Enjoy Fadi’s Mediterranean Grill, featuring exceptional recipes, a multitude of flavors and daily menu options, HUGE portions, and great prices. Fadi’s is a place you LOVE!! The Hummus at Fadi's is the best. I often stop by just to get some Hummus to take home. It makes a great snack! Great food and a good change of pace from fast food and big chain restaurants. Friendly staff. Amazing food AND healthy!! Prices are great as well, especially for the proportions. My family loves this place! Went there on a Friday night at 8 pm specifically for the lamb shank and they were out of it. This is the 2nd time we have gone and they were out of lamb shank. Are you kidding me? Poor planning. I have been eating at the Westheimer location for a long time and I am soooo thrilled that there is a Fadi's restaurant in Sugar Land now! Scan this code with your smart phone to save the contact information for Fadi's Mediterranean Grill to your phone's contacts.